Project Blue Wave: You Can’t Replace Something with Nothing. Day-by-day the Republican Party is growing more and more disconnected with needs of ordinary people. In Washington, Republicans in Congress sit on their hands and hold their tongues in fear of being the subject of a lunatic Twitter message from Donald Trump. Here at home, Bruce Rauner has bullied the GOP into making state government unresponsive to Illinoisan’s most pressing challenges. Even rank-and-file Republicans know their party is failing. In the General Assembly alone, multiple GOP legislators aren’t seeking re-election. They simply can’t continue when their leaders have rejected the needs and desires of ordinary, working and middle-class families. Voters deserve choices and Democrats have strong winds and ample opportunities to pose credible challenges for county offices in every corner of the state. Unfortunately, right now, nearly 400 Republicans throughout are set to win their November elections because they have no Democratic opposition. We can’t replace something with nothing. That’s why your help is so important to our mission. Project Blue Wave is the IDCCA’s effort to ensure that no Republican gets a free pass in 2018. Working with County Democratic Party organizations, we’re connecting with people who are willing to step forward and run for office where a Democratic Party vacancy exists. There’s no reason it can’t it be you. Throughout the state, we’re seeking Democrats to run for county office. County Party organizations can appoint candidates beginning May 1 through June 4. The IDCCA is determined to help you take this opportunity to represent your community and your neighbors. The first step is on you: reach out and express your interest. Project Blue Wave is gaining momentum. Already the IDCCA is working with dozens of candidates who are readying their fight against local Republicans. And our efforts have gained the interest of national Democratic Party leaders. Last week I spent considerable time on the phone with DNC Deputy Chair Keith Ellison, the Congressman from Minnesota. During our conversation, I laid out the IDCCA’s Project Blue Wave plan and our priorities. 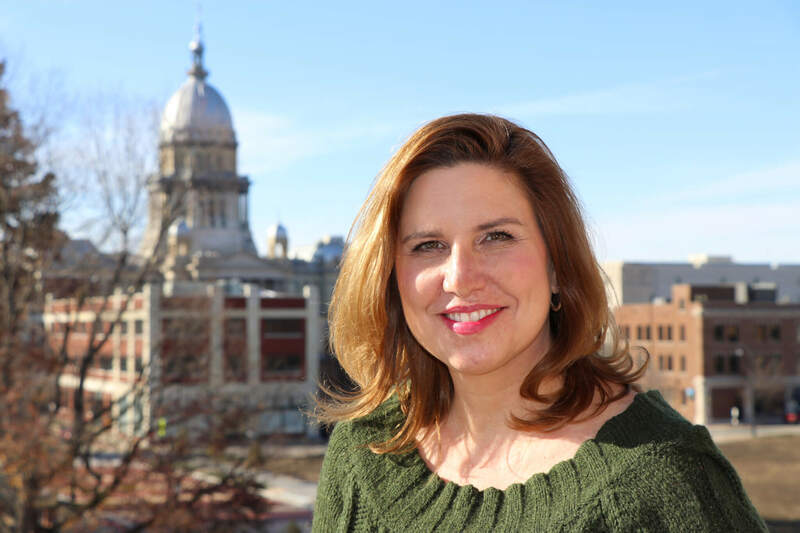 I highlighted the fallout of Bruce Rauner’s out-of-touch and failed agenda. We discussed the erosion of Donald Trump’s favorability in areas where Republicans have boasted as “their” territory. Together, we agreed that resources, strategies and assistance for down-ballot candidates is part of Illinois’ strategy. Congressman Ellison is reviewing our plans and engaging DNC experts to determine where we can work in tandem. They see a Blue Wave on the horizon as well. Victories won’t be had without hard work. To be successful, candidates will need to engage their friends and family, neighbors and local organizations who are willing to be a force for change. But activism for Democrats is at an all-time high. The opportunities for Democratic victories are within our grasp. 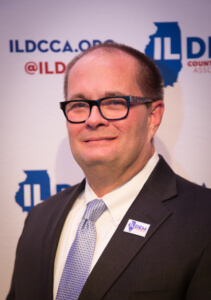 If you’re willing to consider a run or know a fellow Democrat who is, I urge you to reach out to the IDCCA or your local County Democratic Party. And ready yourself to become active and engaged in these important campaigns. With Donald Trump and Bruce Rauner as the leaders of the GOP, no Republican candidate should be granted a pass. Working with you, the IDCCA won’t let that happen.